The Me Too movement is changing the conversation about sexual violence. For some women, it's been empowering but, also, a painful reminder of buried trauma. And for some men, it's been a realization that they want to do more to change the status quo. One victim advocacy group in Wyoming wants to help men make that change by giving them better tools. SAFE Project in Laramie is located in a cluster of beige buildings in a mostly residential neighborhood. Livvy Gerrish has worked here for the past year as a victim advocate and outreach coordinator. Historically, she said, there haven't been a lot of programs that reach out to men. "It's kind of an up and coming buzz right now—engaging men in the work in gender-based violence," she said. And it's a buzz Gerrish wanted to be part of, so she developed the SAFE Men program as an experiment. This is the inaugural year. The program takes on 10 men from the community and puts them through an intensive training over 12 months. Each participant will also develop some kind of community project, however big or small. "We're trying to have them be basically gender-based violence almost experts in a whole year, which of course, we're not going to accomplish," she said. But they're going to give it a shot. Although, she was quick to point out the program is spread over a year for a reason. "If you were to condense this into two weeks, that would be a very depressing two weeks," Gerrish said. "And I don't think that would be enough time to process that." And there's a lot to cover. After an initial meet and greet in January, Gerrish said they soon got down to the stark realities. "We're going to be talking about sexual assault. We're going to be talking about stalking, child abuse, community organizing—basically everything that falls under the umbrella of gender-based violence," she explained. Jason Svare said he knows there's a problem, so when he heard about the program he jumped at the chance of getting involved. "How do I address it? How do I become active against the problem, if that makes sense? And I didn't have many answers to that," he said. So far, he said the program has been eye-opening. "I think I thought I knew a lot," said Svare. "There's a whole lot of documentaries available on Netflix, and things like that. So there's a lot of information out there that I would try to absorb and kind of be involved with." Still, he said there wasn't really a space where he could talk about these things with other men. And that's a huge part of the idea behind the project—to create that space. "If it feels like a stupid question, or something that you feel uncomfortable asking, that's OK," he explained, "because that gets the conversation going." Uncomfortable questions like — why does someone experiencing domestic violence stay with their abuser? Or, what are the nuances of consent? The project looked for men from all kinds of backgrounds. Svare is an academic advisor at the University of Wyoming. There's also a teacher in the group, a business owner, a therapist, someone in the medical field and a police officer, Detective Sergeant Taun Smith. "Dealing with gender-based violence more frequently than most people, I had a lot to bring to the table," said Detective Smith. Smith is coming up on his 15 year anniversary with the Laramie Police Department. He said a lot of his caseload involves sexual assault. And something he's noticed lately, more victims coming forward to report. "It's not that it's happening more often," Smith said. "I think that has remained the same. I think what has changed is that people have become more empowered, and have found the courage to come forward and report." Smith said he wants to keep that momentum up. Like Svare, he said he's learned a lot in the program. For one thing, the program covers how frequently people in our communities misunderstand sexual violence. "We realized that society has really relaxed views on what constitutes sexual assault and domestic violence," he said, but he's still optimistic. And so is Livvy Gerrish. Once you learn and get involved with sexual violence prevention, she said, it's like flipping a light switch. "And sometimes that light switch is hard to switch off," Gerrish said. "It's something you're always going to be aware of and something you'll always want to do more and know more about. And I think based on the men in our program this year. I can definitely see that being the case for them." The organization turned away 50 applicants for this round. 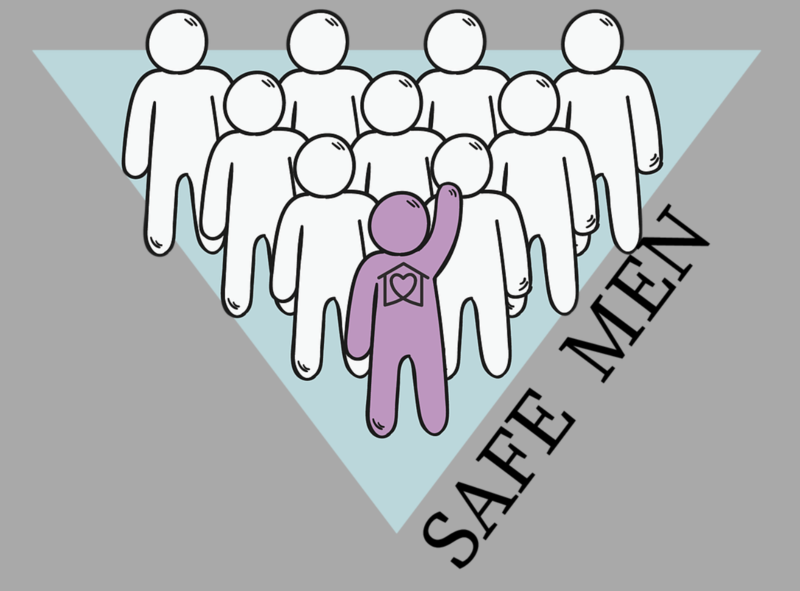 But Gerrish said this won't be the only time they offer the SAFE Men program, just the first of many. Copyright 2019 Wyoming Public Radio. To see more, visit Wyoming Public Radio. On a recent chilly Monday night, a trio of protesters, joined by a golden retriever named Winston and a 4-year-old boy who responds to the nickname “Tiny Resister,” stood on the edge of Reservoir Park in Salt Lake City.